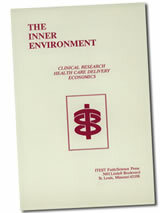 For many years ITEST has published books of the proceedings at its yearly conferences. Most of the books published since 1989 are still available for purchase from ITEST. 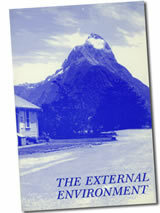 Books published prior to 1989 may no longer be available for purchase, but you may contact the ITEST office for access. 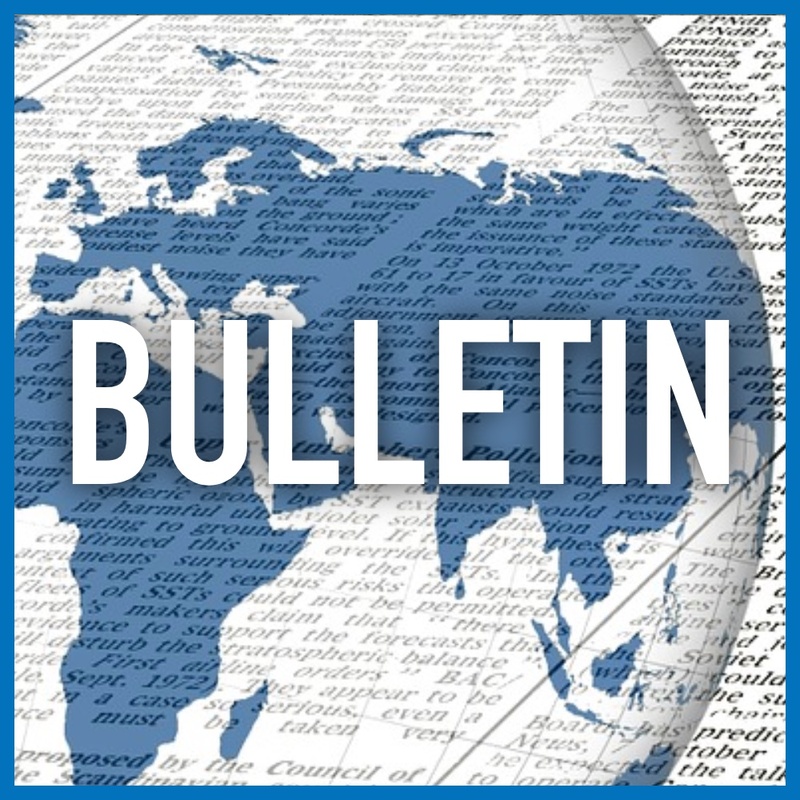 All documents available for download are in the Acrobat PDF format. 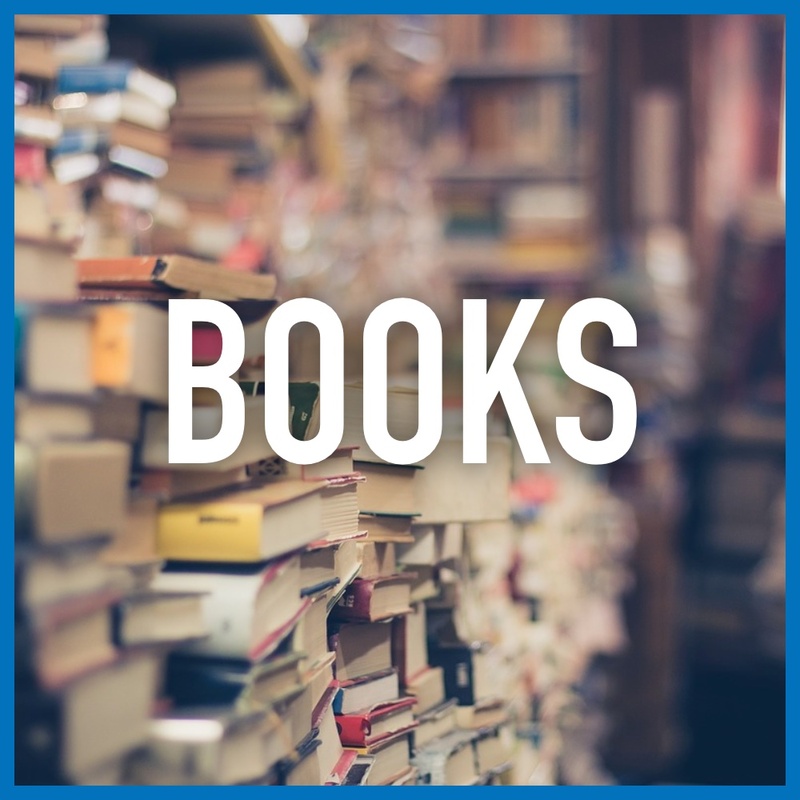 Books Available For Purchase – Books listed on this page are available for purchase (contact sebastianmahfood@archstl.org until the “Buy Now” links below connect to Amazon.com in June, 2019 – they’ll be inactive until then). This listing of books shows the book cover art, and allows you to view an abstract for each book. You will also be able to download an overview document that contains the cover art, the book abstract, table of contents and foreword for individual books. An order form for all the ITEST books available for purchase is also included at the end of each overview document. Each book sells for $15.95, and the price includes shipping and handling. Books No Longer In Print – Books listed on this page are no longer available for purchase. Contact the ITEST office for access to the information in these books. The entire contents of a few of the out of print books are available as PDF downloads. These select books are shown at the top of the list. 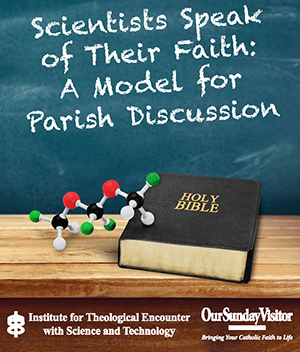 Scientists Speak of their Faith: A Model for Parish Discussion – Click OPEN NOW! This 26 page document contains all the information you will need to host an event at your parish. Among other helpful material it contains a list of participating pilot parishes in the St Louis Archdiocese, who launched this program. 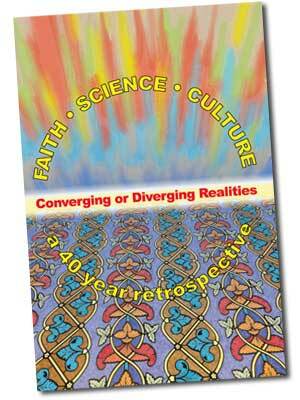 This conference, marking the 40th anniversary of the founding of Institute for Theological Encounter with Science and Technology (ITEST), treated the converging and diverging lines of development in Faith, Science and Culture from 1968 to 2008. The 1960’s witnessed an upheaval in the social and cultural structure of the country threatening to tear apart the fabric of what we proudly called the America of the 20th century. Not all was upheaval however; a decade earlier science had revealed the wonder of the “stuff of life”, DNA which led eventually to the coding of the human genome in the 1990’s, a vital first step in combating genetically based diseases. Vatican Council II (1962-1965) had a profound effect on the development of the faith in the life of the Church. Adaptation and renewal were bywords in the decades following the Council which concluded its initial work in 1965 but post conciliar documents continued to provide material for study, discussion and implementation for decades to come. The presenters, Dr. John F. Haught, Edmund D. Pellegrino, MD and Carla Mae Streeter, ThD, tracing forty years of developments and trends in these three areas: faith, science/technology and culture, are joined by the participants in discussions focused on the divergent and convergent aspects of the topics that go the roots of American and world society from the 1960s to the present. In this symposium the conveners ask us to extend our reach beyond the planet earth for a short time to experience the vast reaches of God’s creation observed through science and technological innovation., gifts of God. What or Who guides us? What or Who in this wonderful ordered universe holds us human beings in existence? Is that the God question? What is the relationship of faith/theology to science and technology, multiverses, dark matter, nebulae, Anthropic coincidences and even the possibility of extraterrestrial beings. Would those “beings” need a Redeemer? The Incarnation? Would it be Jesus? Scientific advance has raised issues for the Faith which are far too profound to be treated only ethically. This advance demands a major development of Christian doctrine on our bodied existence. 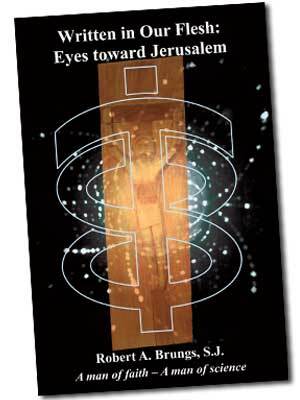 This volume explores the beginning of that development using sacramental and covenantal doctrinal themes. These themes are presented in a hope that work will begin on posing the correct doctrinal and spiritual questions. The plant biologist questioned the driving force behind genetic investigations in the areas of food production, among them genetically modified food (GMF). Who is doing the research and why? 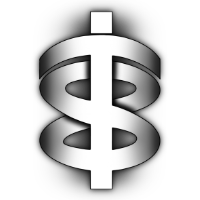 Is the motive altruistic: to feed a starving population, perhaps, or is it selfish: to feed the hunger of individuals or corporations greedy for profits. The patent lawyer deftly cut through the perceived arcane language of law thus revealing a treasury of logic describing the requirement for patentability: it must be new, useful and non-obvious. Although the “hot discussion topic” for this workshop focussed on stem cell research (adult and embryonic), patent law and its effect on biological experimentation was present as a subtext throughout. Finally, the essay on theology concentrated on the human as the image of God. What do we mean by that phrase “the image of God” and as such are we free to manipulate that image by genetic experimentation. Are there aspects of our nature that are both “touchable” (able to be manipulated) and “untouchable” (sacred to the concept of “in God’s image”). Maybe Are there some aspects of our nature that are “touchable” (acceptable to manipulate) and others that are “untouchable” (part of “in God’s image” and thus sacred), and if so, which are which? That we are living in an electronic age is undeniable. Observe, if you will, young people of every stripe at any big city mall seemingly more attached to their iPods, camera phones and Game boys than to the world around them. 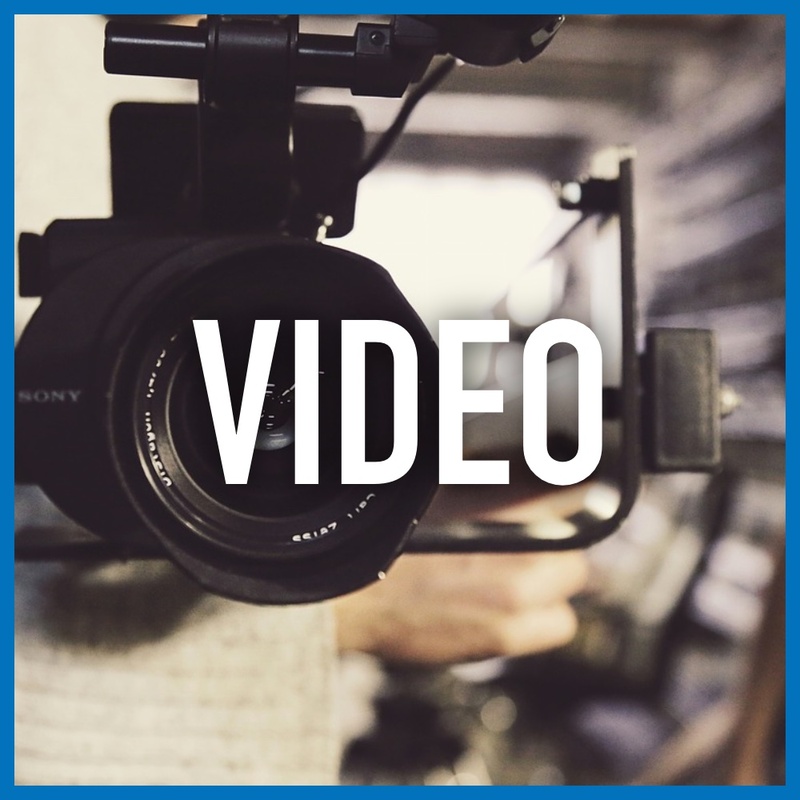 But as we stare in disbelief at this disconnect from the reality we know, are we getting a glimpse of the reality to come when avatars and cyborgs are as common as the latest reality show on television? Medieval traditionalists decried the anticipated loss of oral history when Gutenberg set up his printing press. The richness and sound of the human voice would be silenced they said with the arrival of the mute, cold printed word. But their fears were groundless for not only was oral tradition undiminished but the printed word brought a new dimension to the spoken word revealing an unimagined beauty and insight into the mind of the human being with the establishment of the new technology. Do we see a similar development with the electronic technologies pervading every aspect of life today? Are the young telling us to open our imaginations to possibilities for communication we had never before envisioned? 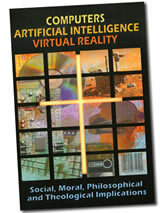 Several essayists covered the topic of the workshop: Computers, Artificial Intelligence, Virtual Reality, while other essayists reflected on the philosophical and theological implications of these technologies for the Church and society. 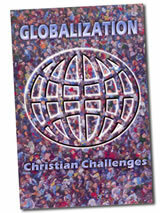 What role does the “ordinary” Christian have to play in this drama labeled “globalization”? What will be the Christian response to the gulf between the rich and the poor worldwide? These and many other questions, especially those involving the Church, contributed to the discussion at this weekend conference. Five essayists covered the areas the ITEST Board considered relevant to the subject of globalization: science, politics, economics, culture, philosophy, and theology respectively. Six edited discussion sessions followed. 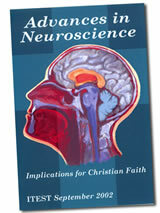 Daily, even hourly we learn about advances in the neurosciences. From improved brain imaging technology to the rapid growth of disease-fighting pharmaceuticals, the promises of better health through the efforts of those with scientific and technological skill entice us at every turn. Are these just false promises? Will these new advances fulfill the expectations of the many who wait for some alleviation of pain or, in the case of Alzheimer’s disease, a drug that will slow the progression of the disease if treatment starts early. These are some of the questions the essayists addressed at this meeting although a wide range of topics engaged the participants. Two of the essayists explore the moral and theological aspects of the topic, another, a physicalist, addresses the question, “Is there a God-spot in the brain?”. A fourth essayist, a physician, delves into the role of learning and memory in the neurobiology of choice. Plenary discussions follow wherein the participants and the essayists exchange ideas on a myriad of issues, among them the societal and theological implications of brain research and other neuroscientific experiments. Amalia Issa, co-editor and essayist, details the overview of the workshop proceedings in the Foreword of the book. Biotechnology is alive and well among us. 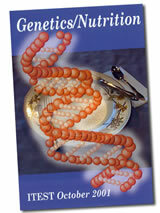 Newspapers carry stories almost daily about “genetically enhanced” or “genetically modified” food. Those terms often affect readers in a number of ways. To some, the term genetically enhanced food connotes a force for good, particularly for those living in countries where people are starving. To others, either term, genetically enhanced or genetically modified food, brings little comfort; rather the words carry an emotional and intellectual burden along with fear of the consequences of such things as “frankenfood” ringing in their heads. . Still others feel that scientists and biotechnologists should proceed with caution, testing and retesting the modified foods until they are considered safe for human consumption. 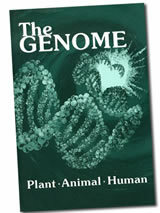 This book contains essays written for this workshop by scientists, biotechnologists and a theologian who examine the various approaches to genetically modified food as well as an essay on the discovery and development of drugs from plants. Plenary discussions follow wherein the participants and the essayists exchange ideas on new developments in biotechnology, the role of the universities in the “business” of engineering food, the benefits and dangers of such a technology and the theological impact on people worldwide. In planning this conference, we were quite specific in emphasizing “A” Theology of the Human Body. While there are various “theologies” available for study, the ITEST Board of Directors wanted to focus on the role of the human body in the plan of salvation, giving special attention to the growth of research in the bio-sciences. We know in faith that we shall rise physically, recognizably ourselves. We need a contemporary theology, as well as a true science to understand as many of the ramifications of our resurrection as possible. Always involved in any development on this level is the relationship between science and faith. But first we must do the critical work of understanding a Christian theology of the human body. 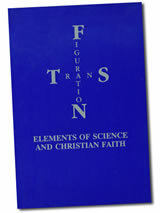 The essays and discussion contained in this volume contribute to that understanding. The ITEST Board of Directors chose to explore this topic as a suitable one at a four day conference on the occasion of ITEST’s 31st anniversary celebration. More than global warming, the environment, population, artificial intelligence, information technology and so on, it seems that work on the plant, animal and human genome will supersede all the others in the power and durability of the challenge. We have reached a point where we can deliberately assume control of the evolution of living systems predictably, reproducibly and systematically. The future is open to greater human mastery. This concerns the Faith of the Church and its theology profoundly. “The sky may be the limit eventually.” Thus was born the plan for this convention. The 20th century has witnessed a radical change in the “traditional” definition of family. Single family parenting, the nuclear family and parents without partners are terms easily recognized in today’s world. 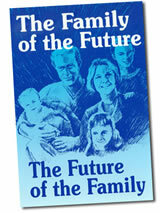 What then do we see as the future of the family and what will that family look like? ITEST presents this workshop through the eyes of our essayists: a philosopher, a social worker, and two theologians all combine to present an integrated study of the family as it evolves into an increasingly technological age. 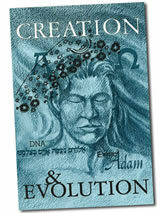 This book deals with the vexed and vexing question surrounding the topic of Creation AND Evolution. 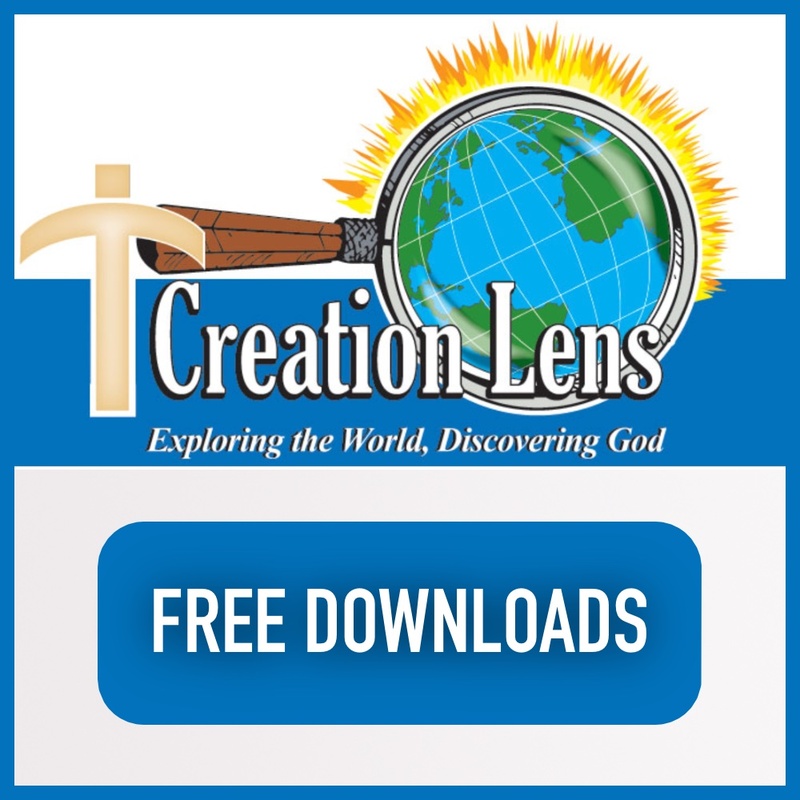 We basically recognize both creation AND evolution (while not necessarily subscribing to the entire Darwinian theory) separating us from both the evolutionists and the creationists. Much is tied together in this topic. There is the recent statement of Pope John Paul II (1996) which goes beyond anything Pope Pius XII said in Humani Generis. What does that statement mean? 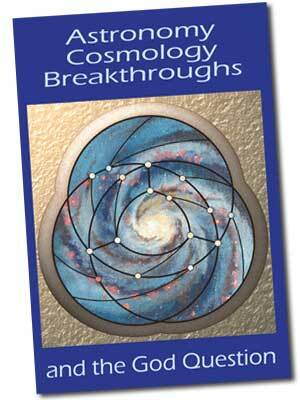 How far ought we to go in trying to reconcile evolution and creation? What are the ramifications of this issue set on Faith/Science dialogue? Having first probed the question of gene patenting in 1981 and again in 1987, this ITEST workshop, was partially motivated by the proposed moratorium on new patents by representatives of major religious leaders in the United States. 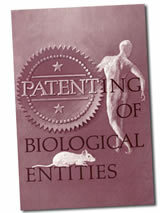 The essayists: a geneticist working on the Human Genome Project, and a patent lawyer, assessed the “state of the art” of gene patenting in the 1990’s. 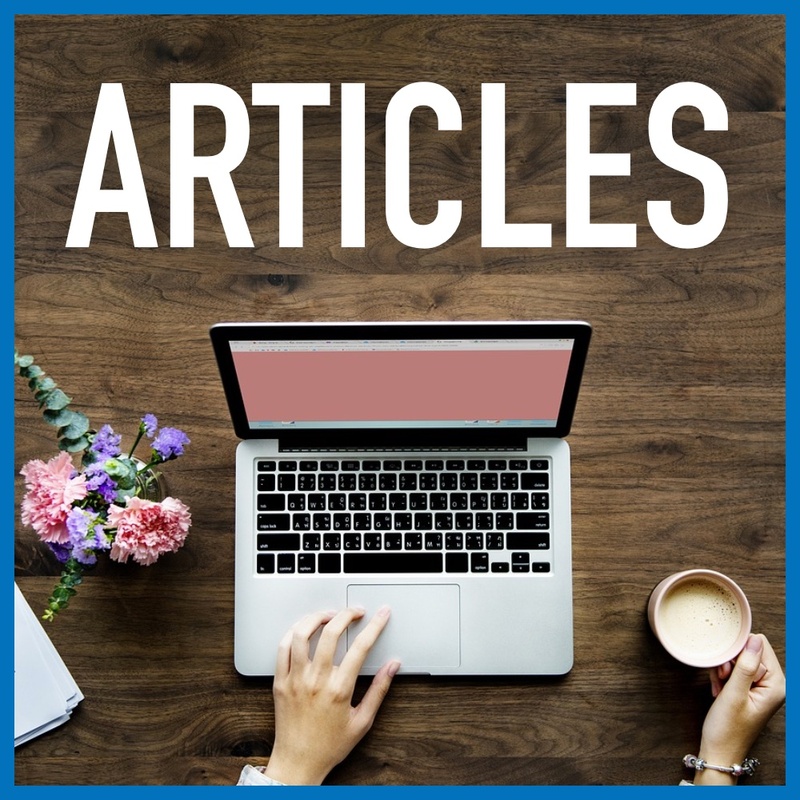 An ethicist and two theologians presented the pros and cons of the procedure and the ramifications for the human being who may be affected, however tangentially, by patenting. This volume of eleven essays by Christian men and women in the fields of science and the humanities is for the beginner rather than the expert in faith/science issues. Christians working in branches of either science or the humanities will find it helpful in integrating their professional lives and their faith lives. 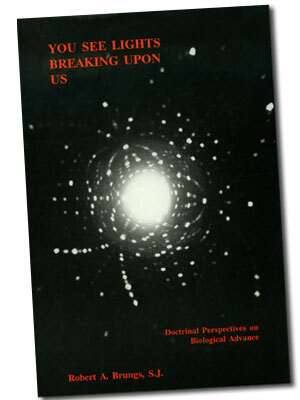 Recommended as a text or supplementary reading for interdisciplinary courses in science and the humanities. 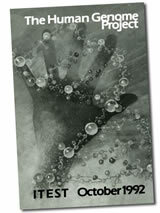 What is the Human Genome Project? 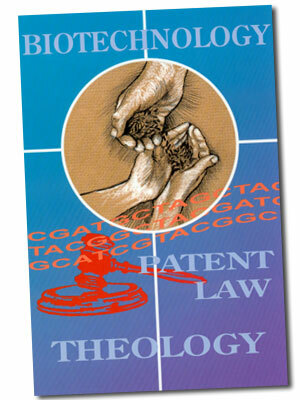 What is Christianity’s interest in such things as DNA and the Human Genome Initiative. 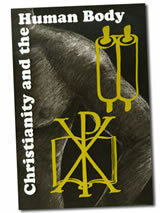 Despite centuries of deepening theological abstraction and generalities, Christianity is essentially an earthy religion. It is the covenant in the Body and Blood of Christ, not in his spirit. There is nothing ethereal about it. We believe that we shall rise from the dead physically, recognizably ourselves. This volume is the third of a trilogy on environmental issues. 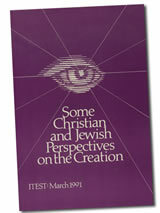 Building on the data and interpretations of the earlier two, this volume represents a culmination of an attempt to understand both the facts and the basis for a Christian and Jewish response to the environmental “crisis.” The essays, although written from diverse theological perspectives, (Jewish, Protestant, Catholic, Eastern Orthodox Christianity) display a remarkable though not total theological convergence. This convergence presents humanity with an opportunity to present a reasonably united position on issues of great environmental concern. This volume is the second of a trilogy on the human relation to creation and the relation of the created universe to God. In it the essayists endeavor to probe the real dimensions of environmental problems like the greenhouse effect, acid rain and energy considerations and their impact on individuals and local and global society. This volume is the first in a trilogy on “environmental” issues. The term environmental is used rather broadly to describe issues treated here. The focus centers on two basic topics: the ethics involved in life and death decisions and the just distribution of what we already have rather than the pioneering work going on in the laboratory.